We carry Jenny Haskins complete "Magic" range of stabilizers, thread, books, magazines and design CDs. We carry Floriani's complete product line of stabilizers, thread, and Floriani kits. Click here for Floriani Spring into Savings! 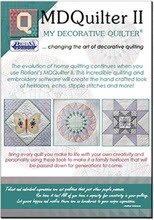 Floriani My Decorative Quilter II - NOW AVAILABLE! 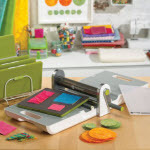 Quilters Select Products by Alex Anderson - NOW AVAILABLE! NOW AVAILABLE + FREE SHIPPING! AccuQuilt GO! Cutters and AccuQuilt GO! Dies Now Available! Sarah Vedeler Embroidery Designs & AccuQuilt GO! Dies - NEW! Smith Street Designs Embroidery Designs & Kits NOW Available! The Stitch Connection Embroidery Designs - NEW! 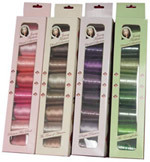 All 163 "Brilliant" rayon colors and 17 "Luscious" metallic colors are in stock!! Each 3D Embroidery Magic CD includes 1/2 yard of Krinkle Magic! 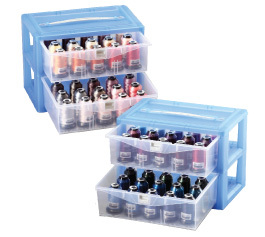 This sturdy plastic storage case accommodates up to 30 cones of thread and has two locking drawers to ensure that they don’t slide open in transit and spill their contents. Each drawer comes with a removable spool spindle tray to make it easy to slide a cone over the spindle and hold it securely in place. All in 1 Hooper "NEW"
The All In 1 Hooper is designed to hoop all garment sizes. It has 5 boards embedded into 1 device. Adults, Juniors, Toddlers, Infants & Sleeve Board all collapse independently to adjust to the size needed. The All in 1 Hooper is the only device in the industry that works with every garment & hoop size without having to purchase additional attachments. Everything Included at 1 low price! 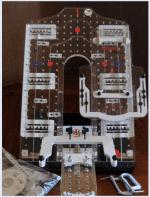 Now includes the Leveler Pro, Sleeve Board Pro & all brackets for all hoops! An added Bonus + 12 Smart Pack CD FREE - 540 stock corporate predigitized files ready to sew. When Dreams Flower is a quilt that combines patchwork, embroidery and quilting along with many of Jenny's other unique techniques. These explained with easy step-by-step pictorial directions and for the first time you can also follow along with Jenny as she personally shows and explains how easy each technique is in the accompanying Instructional DVD - it is like having Jenny as your personal instructor, right there in your sewing studio. How cool is this? 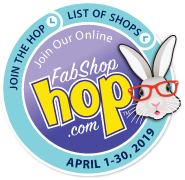 We also have Jenny Haskins When Dreams Flower full line of fabric and kits to make the When Dreams Flower Quilt and Ring-a-Ring a Rosie Basket Full of Posies! The Ring-a-Ring a Rosie Basket Full of Posies instructions are available as a FREE download here. FREE SHIPPING ON ORDERS OVER $175.00 United States only (excluding AL, HI).